In partnership with BUMBLEBEE, Entenmann’s® is launching a fun offer to celebrate the film’s digital, Blu-ray and DVD release. From March 17 through May 3, consumers can enter the Little Bites® BUMBLEBEE Visit Myrtle Beach Sweepstakes for a chance to win a trip for 4 to Myrtle Beach or the BUMBLEBEE film on digital, just click HERE to check out the SWEEPSTAKES. Entenmann’s® Little Bites® muffins are pre-portioned pouches of delicious baked snacks made with real ingredients such as blueberries, strawberries and bananas. One VERY LUCKY Nanny to Mommy reader will win a $25 VISA Gift Card & 3 Entenmann’s $5 off coupons. Entry is simple, just follow the prompts on the Rafflecopter below. Open Worldwide, must be 18+ to enter. Winner chosen via Random.org through Rafflecopter. All winning entries are verified. Please follow us on Facebook to stay up to date with our current giveaways. Check out other featured products in our Holiday Gift Guide and Good luck! Nanny to Mommy received complimentary products to provide this review. All opinions are our own. Nanny to Mommy is NOT responsible for prize fulfillment. This giveaway is open WW, must be 18+ to enter. One entry per household/IP address. No social media was involved in this giveaway in any way. Winner is chosen via Random.org through Rafflecopter. ALL winning entries ARE verified. Winner will have 48 hours to respond with all information in email or another winner will be chosen. If you would like to see your product featured in our Holiday Gift Guide or sponsor a giveaway event, please contact us. I love the chocolate chip muffins. I would like to see the movie it looks cute and has its funny parts. I really like the Entemann’s blueberry muffins. I would like to see Bumblebee because I really liked the other Transformer movies. My favorite Entenmann’s product is theL ittle Bites® Fudge Brownies. I would love to see the new Bumblebee movie with my sons because they love this genre of movies. My fave product is the Chocolate Chip muffins. My family loves the blueberry muffins. We have seen the Bumblebee movie, loved it. Love the blueberry muffins. They are a great morning pick me up. I love their chocolate chip muffins and the blueberry ones too. “What is your favorite Entenmann’s product? I love the scrumptious little bites muffins, especially the Snickerdoodles. I want to see the Bumblebee movie with my grand children. My favorite are the fun fetti muffins! I like the blueberry bites! I want to see it because I like the cast. I want to see this movie because my niece wants me to go! My favorite Entenmann’s product is their raspberry danish twist! My favorite Entenmann’s product is the Blueberry Little Bites.. I would love to see the new Bumblebee movie with my niece because I’m sure she would enjoy it. My fav are the blueberry muffins! Love the lemon danish! Wish I had some right now. Just made coffee and could go for a sweet. I like the Little Bites Chocolate Chip Muffins. I’d like to see this movie because it looks very entertaining. My favorite Entemmen product is the chocolate chip muffin bites. My favorite entenmanns product is the party cake little bites and I would like to see this movie because it look interesting . My kids like the strawberry muffins. We aren’t big movie watchers, so I don’t know if we’ll see this movie or not. I love the blueberry muffins and butter loaf cake. I would love to see Bumblebee again because it is a great movie and I think my nephew would enjoy it. The Churro mini muffins are delicious! I like the blueberry muffins. My nephew would get a kick out of the movie. 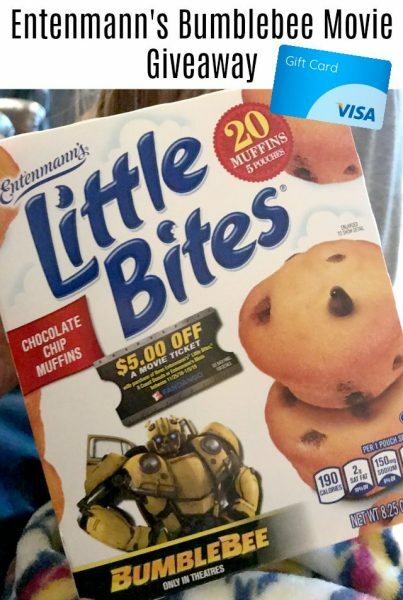 I really love the Entemann’s blueberry muffins and I love all of the Transformer movies and excited to see Bumblebee. Selling real estate as a side hustle can be extremely difficult without the help of lead generation software. Prime Seller Leads reviews are rated positive from many real estate agents. Zurple reviews are also very impressive. FreeCrapple has daily Crapples! They giveaway anything they can get our hands on. Giftcards, cryptocurrency, stocks etc. No purchase necessary!